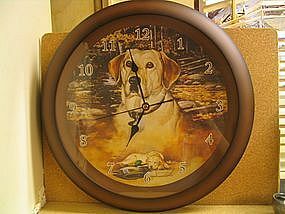 Quartz wall clock featuring art by Larry Chandler. The clock keeps good time. Measures 13 1/2 inches in width. No chips, breaks or cracks. I will need your zip code to calculate postage.